A decade after launching in Melbourne Lucy Folk opened a boutique in Bondi. She’s known for her food-themed jewellery – seafood, pasta, pizza and pretzels have all featured. Playa by Lucy Folk marked a new direction for the designer: she’ll be stocking other fashion and accessory labels alongside her designs, and the only Australian label carried is PAM. 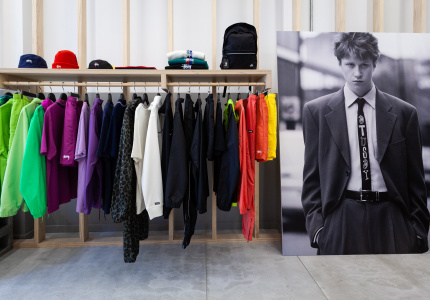 The store is an invitation into the designer’s universe. Picture the kind of boutique that might be attached to a hotel lining the Mediterranean but with Folk’s finesse. Clearly curating with her taste in mind, the brands are discoveries she’s made on her travels. There’s robes made and designed by Folk in Morocco; hats made from tea towels by Bernstock Speirs; swimwear by Lisa Marie Fernandez, Marysia Swim, Araks, Ise Afren, Julien David and PAM. The store also features luxury skin and body care from Florence by Santa Maria Novella. 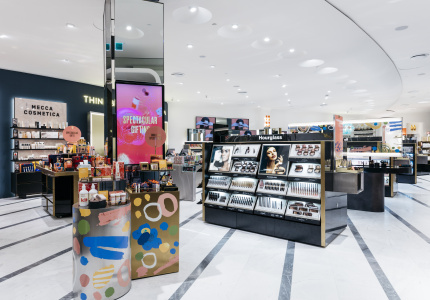 Sydney-based interior designer and childhood friend, Tamsin Johnson (P Johnson Tailors, The Lemon Tree, Mr. Moustache) was behind the store’s design. Johnson didn’t want to use any design aspects that you might expect from a Mediterranean-themed store, such as terrazzo, marble or Thonet cane chairs. 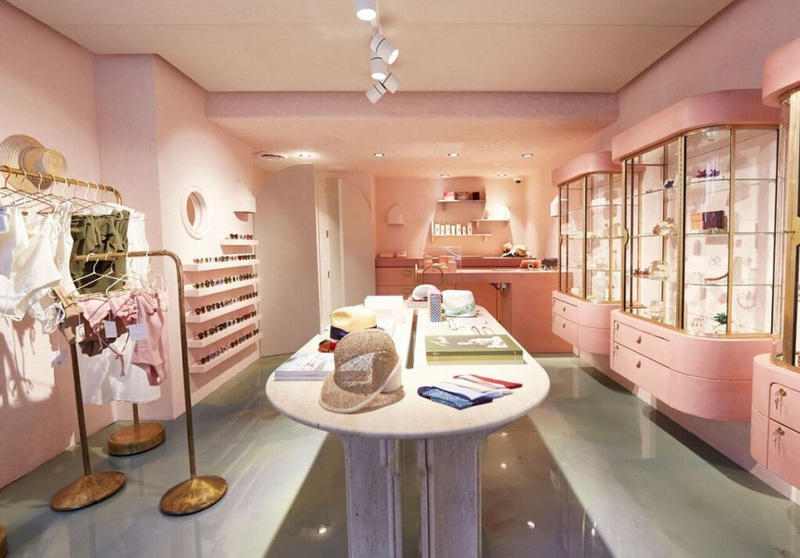 Instead, everything is Barragàn pink with a glossy, sea-blue resin floor speckled with sand. 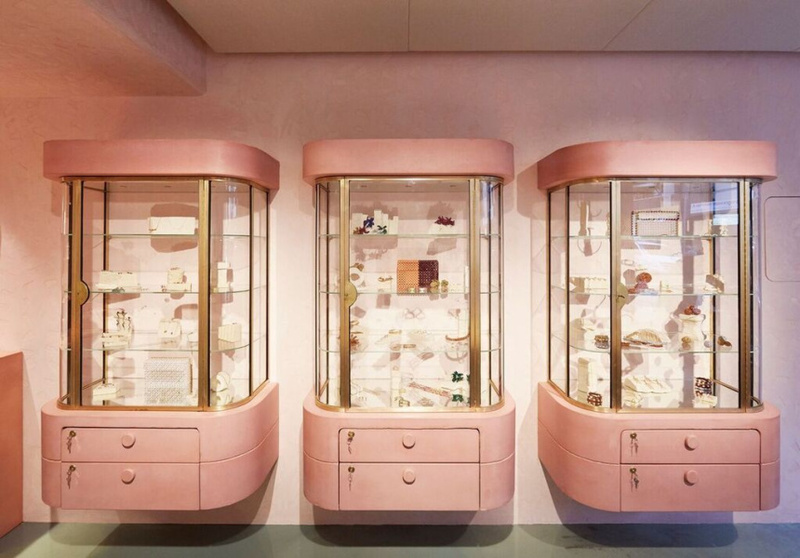 A floating linen ceiling hangs above textured concrete walls, and bespoke ornate gold cabinets hold Folk’s latest collections.